This orange adhesive tape is made from top quality vinyl so is tough and durable and can be written on with a permanent marker. It is perfect for sealing and colour coding shipping or storage boxes, sticking instantly to smooth clean surfaces. Our orange adhesive tape easily sticks permanently to smooth and clean surfaces. The top quality orange vinyl tape offers an ideal solution for carton sealing and identification purposes in shipping or storage. 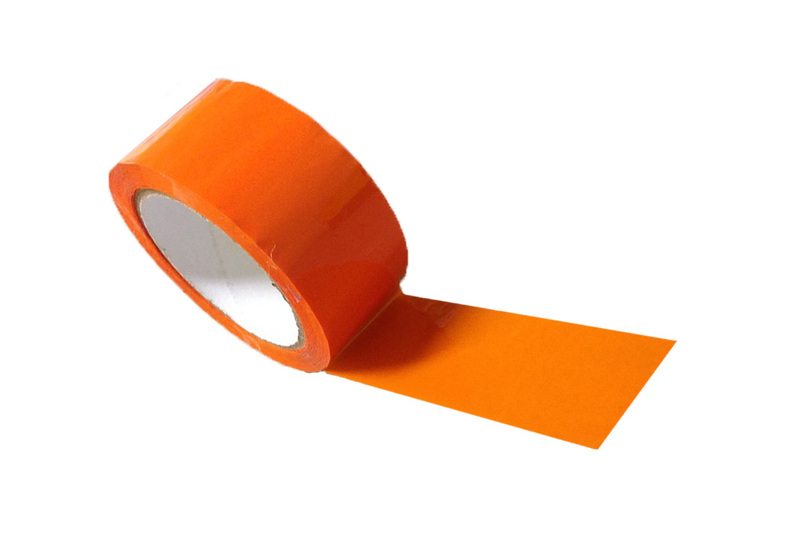 Our orange adhesive tape is made from top quality vinyl which makes it strong and durable. The superior solvent adhesive in our orange packing tape is the key to the tape’s long lasting performance and sticks permanently to any smooth and clean surface, like floors, walls and boards. In addition to colour coding when mailing, sorting or storing boxes, our orange adhesive tape is great for many other general purpose uses in the office, warehouse, school or retail outlet, as well as at home. Use it for art and design projects, wrapping, packing and sealing, or stick it on clean surfaces to call attention or give warning. Due to its versatility and strength, you’ll find our orange tape perfect for every application. Like our other coloured tapes, our orange tape has a semi-gloss finish which allows you to write on it with a permanent marker, an extra way to code or label items to be stored or shipped. With a width of 50mm, our economical 66m rolls of orange adhesive tape come in convenient packs of 6 and may be used with one of our tape dispensers. Our premium quality vinyl orange tape is a superb carton sealing solution, particularly when needed for identification purposes.